This ones big and it's not to be missed. 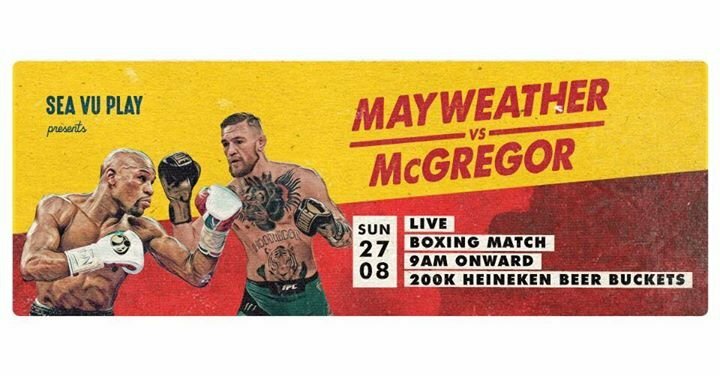 Sea Vu Play will be screening the fight on over 10 SCREENS. Private booths available, make your reservations before they fill up. For the late wakers, come along for the after party and celebrate the fight winner! 200k Heineken beer buckets all day!